Viktor Alexandrovich Hartmann (5 May 1834, St Petersburg – 4 August 1873, Kireyevo near Moscow) was a Russian architect and painter who lived during a period in European and Russian history when nationalism flourished. The quest for a national identity included a search for a national esthetics that had been expressed in some Golden Age, and would again be expressed in music, art, design, and other art forms. Hartmann’s plan was for a city gate in Kiev is an attempt to capture an inherently Russian and Ukrainian esthetics. For instance, as I may have mentioned elsewhere, in what would become a unified Germany, the brothers Grimm scoured the German-language states collecting its German-language folklore and planting the seeds of what would become a discipline: ethnology. But Russia was an exceptional case in that the country stretched thousands of kilometers. Esthetically and otherwise, it was therefore rooted in more than one culture. In music, the “mighty handful,” Mily Balakirev (the leader), César Cui, Modest Mussorgsky, Nikolai Rimsky-Korsakov and Alexander Borodin, attempted a revival of Russia. They were looking eastwards and, in the years 1856-1870, they met in Saint Petersburg. But the Russian Revival was not limited to music. It also included the fine arts, architecture as an art form, and other cultural areas. Viktor Hartmann was therefore associated with the Abramtsevo Colony. The Abramtsevo Colony had been purchased in 1870 by Savva Mamontov, a patron of the arts who promoted a Russian Revival. Abramtsevo was the hub of revivalism. 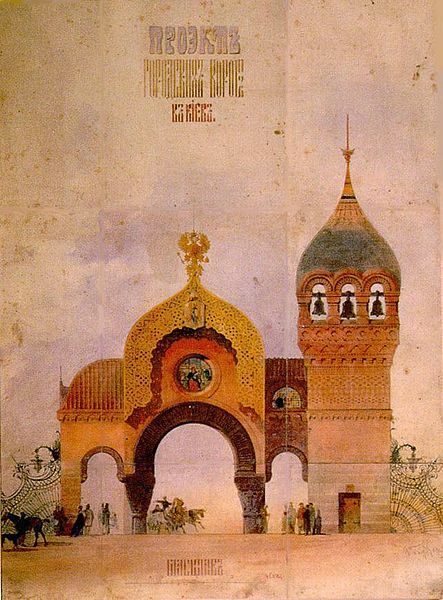 Viktor Hartman’s foremost contribution to the Russian Revival was his Plan for the Gates to Kiev (Ukraine), a design rooted in what he perceived as inherently Russian (and Ukrainan). Hartmann was Mussorgsky’s closest friend, but the two were forever separated when Viktor Hartmann died from an aneurysm at the early age of 39. An exhibition of Hartmann’s paintings was organized which inspired Modest Mussorgsky‘s Pictures at an Exhibition (1874), a suite for the piano that painted musically and therefore constitutes a union of music and painting suggesting synesthesia. It is c the piano, as it was composed by Mussorgsky. However, French composer Maurice Ravel transformed the work for piano into an orchestral work of music. To hear it, please click on the following link: Mussorgsky/Ravel and enjoy yourselves. In this post, Mussorgsky’s piano suite is played by Sviatoslav Richter. By the way, listen for the sound of bells. [i] This portrait was painted in 1881, a short time before Mussorgsky’s death from alcoholism. 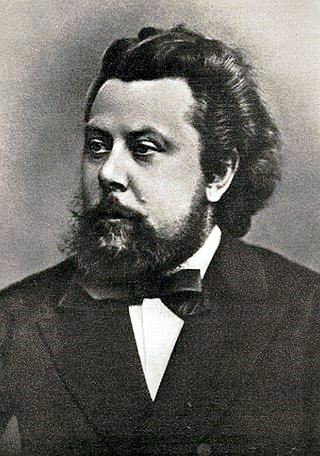 Mussorgsky’s wealthy family was impoverished when serfdom was abolished in 1861. He joined a group advocating extreme behaviour. Great amazing things here. Iˇ¦m very satisfied to see your article. Thank you a lot and i’m taking a look forward to contact you. Will you please drop me a mail? You completed various good points there. I did a search on the topic and found a good number of folks will have the same opinion with your blog. Micheline, my dear, as always, a very interesting post. Thank you so much for the information. Very beautiful gate! Thank you Stefania. The plan itself is a work of art. 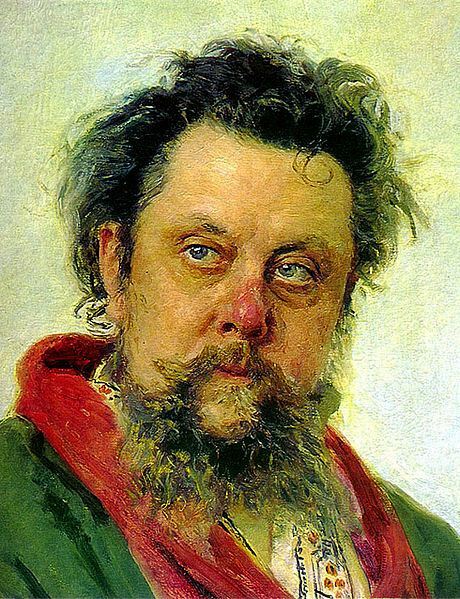 Hartmann was an excellent artist, However, what fascinates me most is Mussorgsky’s music. It is so powerful.